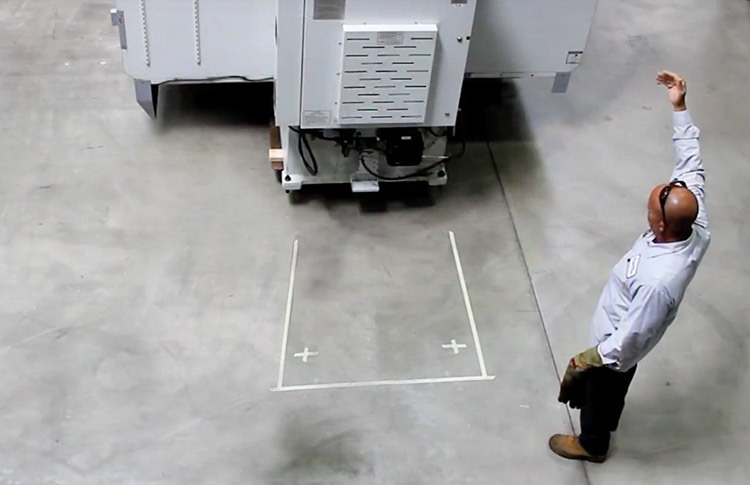 Packaging, Skidding And Crating - Triple-E Machinery Moving, Inc. Your equipment represents a major investment, and we specialize in complex, fragile, large and heavy items. We can stock or custom crate and pack almost anything, and can transport or ship almost anywhere. Customers trust Triple-E Machinery Moving, Inc to safeguard equipment and machinery of any size or value. Packaging and shipping services for heavy equipment and more. Custom packaging, crating, skidding and shipping for specialized industries. 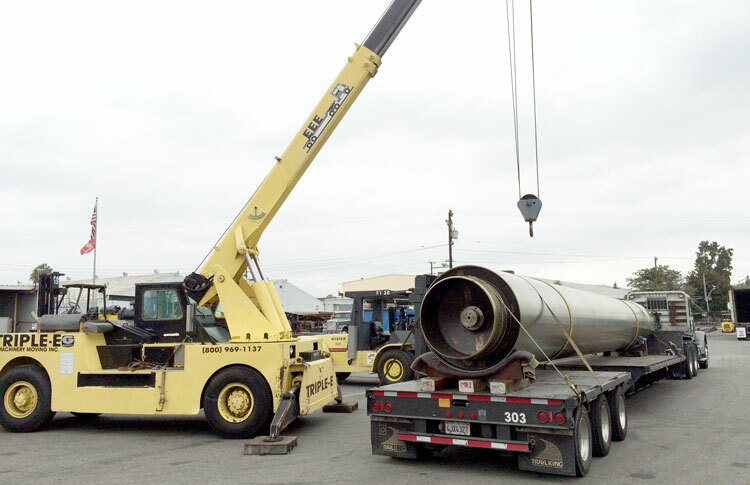 Triple-E Machinery Moving, Inc. provides shipping preparation and logistics for heavy equipment and machinery. Whether you need a single item sent, or regular scheduled delivery of multiple items, Triple-E has got you covered. Projects often start with advanced planning and strategizing before our experienced crew members arrive to pick up your valuable items. We listen to your concerns, and all of your questions are answered to make the process as easy and stress-free as possible. After pick-up, your machinery is safely transported to our warehouses. Whether storing your items long term in our secure warehouses, or preparing them for immediate domestic or overseas shipping, each and every piece of equipment will be carefully packaged and protected. 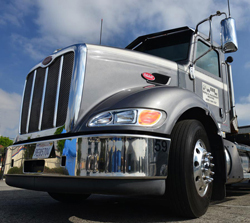 Often, several types of transportation will be involved in long-distance moving and shipping. For some projects, equipment must travel over land, sea and air before reaching its final destination. 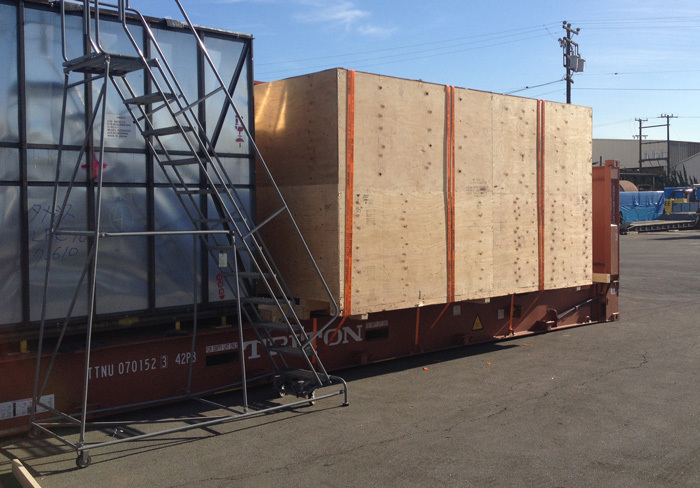 With Triple-E on the job, preparation for truck, train, aircraft and ocean shipping containers is handled with EEE’s! Our wood crates are custom-built to the specifications required by each particular item based on weight, dimensions and mode(s) of transport. Heavy items are often blocked, braced and mounted on skids, which are also customized to the equipment. If you require corrugated packaging it will be reinforced with straps and can be placed on pallets as well. 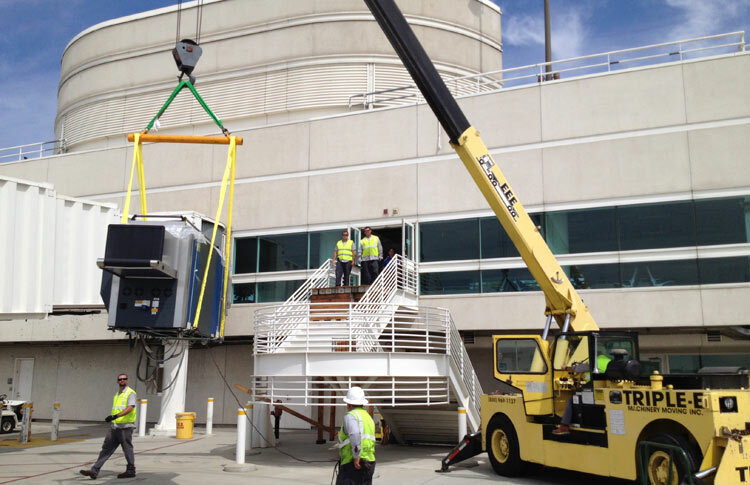 Anything large, heavy and/or fragile is our specialty. When you need it to arrive safe and completely damage free, call on us. 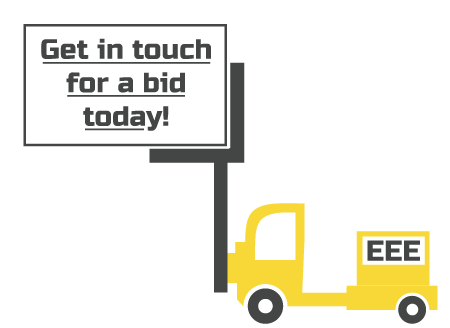 Triple-E will plan and engineer the perfect solution for your equipment and machinery shipping needs. 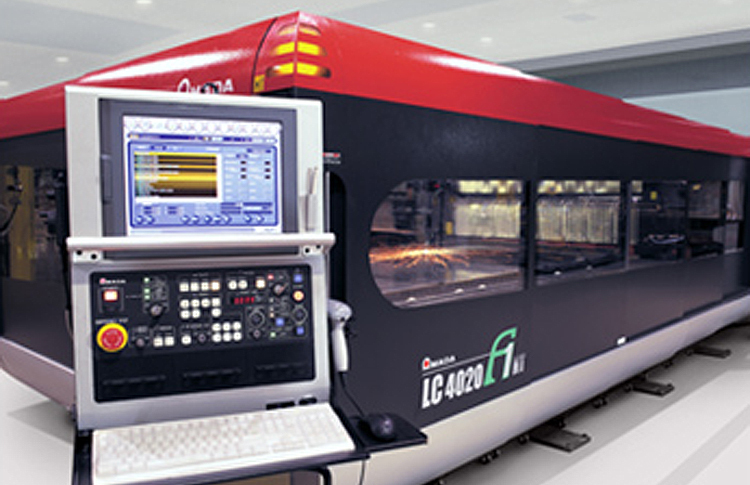 Valuable equipment arrives at its final destination in the same condition as when it departs your plant or facility.